As many of you know, I’m an avid listener of the Joe Rogan podcast. It’s one of the best podcasts - if not the best, in my opinion - out there. Sean Carroll has been on the JRE show a few times and recently started his own podcast called “Mindscape” in which he analyzes random fields and ideas and breaks them down to their fundamentals. This is by far one of the best podcast episodes I’ve ever heard that covers the basics of cryptocurrencies. It’s incredibly valuable for anyone who’s interested in the space, regardless of skill level and comprehension of the technology. From now on, whenever I meet someone who’s new to crypto and wants to learn more, this is the podcast that I’ll tell them is a must listen. It’s truly incredible and there’s a lot of great ideas here. Even if you already know a good deal about blockchain and crypto, there is plenty to learn here. What follows are my own notes that I took while I listened to the podcast. I divided it up into 2 (maybe 3, I haven't fully decided) separate parts because there's honestly so much information here that it can be overwhelming. 3:50 - What is Money? The previous definition of money is more of the economists technical definition. Another way of describing money is as a story that we share with each other. As a side note, this is highly relatable to the book Homo Deus that I read recently. If you read any of my notes that I shared on Steemit about that book, you’ll know that Yuval Noah Harari describes our entire civilization as being hinged on the stories that we share with one another. The stories that we share are what underlie everything we do. These stories determine where we work, who we interact with, how we interact with each other, what we do with our time, etc. etc. Ultimately, the stories we tell each other are the fundamental grounds for which civilization operates which is why I think defining money for what it is - a collective story - is very important. Money is worth something because we share a story with each other that says that it’s worth something. We all believe that this story is true and that’s what allows us to exchange this “currency” for real-world goods and services. In this story, we’ve all agreed to use certain objects - paper, coins, 1s and 0s in databases etc. - to physically (or digitally) represent “money”. What’s very interesting is that this whole system hinges on a really strange sort of trust between all of us. A stranger can walk into a store and hand over their credit card or a $20 bill and exchange it for a real-world good or service without knowing the shop owner or cashier at all. They go on to talk about intrinsic value. Things like gold and paper money. For example, the USD has no intrinsic value. It’s backed by the government and thus, it’s worth whatever the government tells us it’s worth. Another side note: something that I love to do is ask people if they think the USD is backed by gold. I’ve asked countless friends and family and even strangers this question and I think you would be surprised at how many people still think that U.S. Dollars are backed by the intrinsic value of gold. In fact, Nixon ended the direct convertibility of USD to gold back in 1971 in a series of economic actions known as “The Nixon Shock”. There is definitely an issue of usability with the current monetary system. Certain places like the United States have an easy time transacting locally but many other countries in the world have issues of local transactions. Many people even in the U.S. have trouble transacting internationally and are forced to deal with huge fees and long wait times. Narula also thinks there is a huge problem when it comes to who is in charge of wealth on a global scale. In particular, she says, about 12 large investment banks basically control the majority of wealth in the world and move trillions upon trillions of value each day. If the answer is no, then how will we change it and make it better? There are in fact a lot of places in the world that don’t have access to a proper financial system. It is generally accepted that about 2 billion people in the world are considered “unbanked” - financial services such as loans, digital payments, etc. The reason why these places don’t have access to these financial services which would make their lives better, easier and ultimately result in a higher standard of living is ultimately because no institution has decided to provide them services for a number of reasons - it’s unclear what the credit situation is for these people, it may be incredibly expensive to bring these services to them, etc etc. She believes that digital currencies might be the solution to these problems. She’s not stating that digital currencies are the end all be all solution to every financial problem in the world, but they might offer us a wide array of solutions to these ever pressing issues. She goes on to cite a few examples of people who have used crypto such as BTC to make their lives easier - i.e. transferring wealth internationally, hedging against debt, national currency issues, etc. 20:00 The Fundamental Question: What is Crypto, Blockchain, Bitcoin, etc. Narula begins by explaining Bitcoin and it’s history. 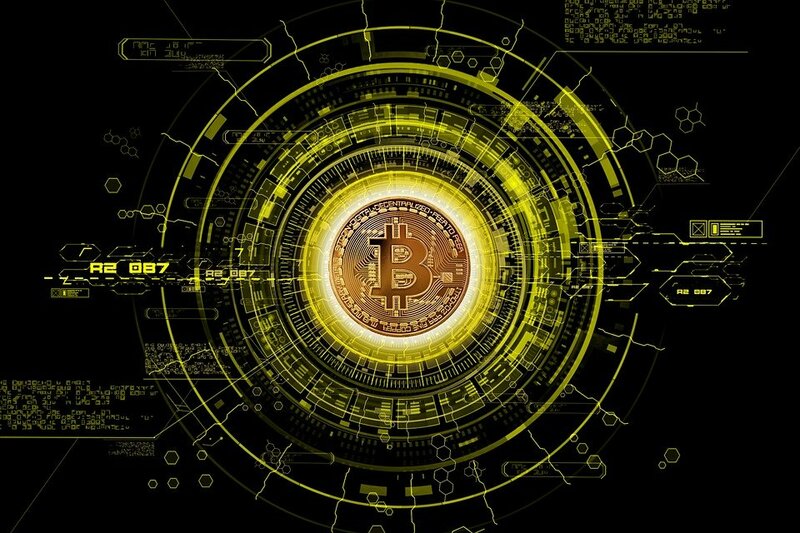 In 2008, Satoshi Nakamoto (an anonymous individual or group of individuals) sent emails out to a mailing list and said that “they" had this idea for a peer-to-peer digital payment system that operated without any financial institution backing it. The system basically operates through a group of individuals who decide to run the system on their computers and confirm blocks. Confirming these blocks is basically when your computer solves a computational problem and is rewarded for solving the problem first. The reward is paid out as Bitcoin tokens. This is known as mining. This went on for about 3 years and it was a relatively small number of people who were playing around with Bitcoin - mining it, sending it to each other and ultimately, creating a story about Bitcoin. A story that Bitcoin is this unhackable form of currency that nobody can take from you (other than user error with your private keys, of course) and it was this sort of pure form of internet money that was solely based on mathematics. The first exchange of Bitcoin for something of real-world value - some guy decided that he was hungry and he wanted some pizza. So he told people that he would give them 40,000 BTC if they sent him 2 pizzas. Someone in London sent this guy 2 pizzas and then the guy (in Florida) sent him 40,000 BTC in return. It’s an open source digital ledger that tracks the transactions on the network of a cryptocurrency. Using Bitcoin as an example, anyone can download this immutable ledger and run it on their computer. By downloading this ledger, you can run it as a node and confirm transactions and “compete” for newly minted Bitcoins by being the first to solve the computational problems. Carroll breaks blockchain down for us in a simple way: he says that blockchain is basically a digital file - 1’s and 0’s - and it’s not just 1 file, it’s a file that exists on many computers at once. Whenever any transaction happens with Bitcoin, then the transaction is added to everyones’ file and then there’s a way to check the files and compare them to make sure that nobody is cheating. The reason it’s called a blockchain is because instead of 1 transaction being added to the file at a time, you bundle them together in what’s referred to as a “block”. A block is basically just a collection of these transactions that are batched together. The reason for the chain part of blockchain is because each set of transactions (each block) points to the one before it. The purpose of pointing each block to the previous one is to make the ledger immutable. So nobody can go back in time and alter the transactions because doing so would mess with all of the pointers and it would be obvious to everyone else in the network. I really like the way that Narula explains the solving of blocks: she explains (@ 30 min), that it’s almost like rolling dice. Every computer in the network is essentially rolling dice over and over again and trying different combinations in order to find the exact right number. Once they think they’ve found the right answer, their answer is published and then everyone else checks it and whoever finds that right number first is rewarded for doing so. She goes on to explain hash functions. Which is basically a way of fingerprinting data - it’s a chunk of data, 1’s and 0’s that have a certain pattern - the result can be much shorter than the original data, but the hash is distinctly tied to the original problem. So with mining, your computer is basically trying different strings of data over and over again until it produces the right kind of “fingerprint”. (@ 34 min) The hash function for BTC is known as SHA-256, everyone knows the hash function but inverting it is very difficult. This is just a property of math that makes it a hard computational problem to solve. The birth of ASICs (application specific integrated circuits) - People realized that they could create these machines that would solve this computational problem faster than any average computer and thus, a sort of “arms race” evolved and now it has become so hard to solve the problem and earn BTC that a regular computer doesn’t cut it anymore. Is There One Blockchain for Each Currency? Yes, in most cases, there is one blockchain for each crypto (i.e. BTC and ETH have their own separate blockchains), but there is a more complicated thing called forking. Forking basically results in a separate blockchain being created. Imagine almost that some sort of creature duplicates itself. Ethereum and Bitcoin are different - Bitcoin is more of a ledger of transactions but Ethereum is a sort of global computer: it doesn’t just handle transactions, it also handles smart contracts which are kind of like little programs that run on top of the blockchain. A common use case for these “programs” is the creation of new tokens on top of the blockchain. Thus, some of the crypto tokens out there actually operate on top of another blockchain like Ethereum. She also draws a comparison between these tokens to the ideas of “Starbuck Points” or “Frequent Flyer Points”. I like this comparison as it allows for someone with little understanding of crypto to understand that tokens are simply a representation of “something”, even if it doesn’t have any physical backing. That's all for part 1. Hopefully it's digestible enough in my note-taking form. I still highly recommend listening to the podcast yourself, it's incredible. I'll post part 2 of my notes tomorrow! Thanks for reading and please leave any questions or thoughts below, I'll see you in the comments!!! Truly a fascinating deduction....begs the Q's; What is the life cycle of crypto v. human life and what stage (span of crypto existence) are we enjoying during our brief earthly respite? But why does it seem Ethereum and Bitcoin are the only cryptos striving at the moment?? Can we forecast Bitcoins' development in the upcoming holidays basing from what happen last year? You got a 77.57% upvote from @upme thanks to @khaleelkazi! Send at least 3 SBD or 3 STEEM to get upvote for next round. Delegate STEEM POWER and start earning 100% from your share, daily payouts ( no commission ). Thank you for recommending this podcast @khaleelkazi. Great article! Thank you for sharing this information! This is a great article. Also want to share what kucoin has to offer. They are giving BTC. Just join KuCoin’s anniversary celebration. This information will be very helpful to the new crypto investors. The detailed information will become very useful for the crypto community. have you seen this one? https://medium.com/@qazapoti/that-was-a-great-article-and-i-see-that-you-are-listed-in-exchange-that-usually-use-which-is-the-826275f31eb9 kucoin is having a celebration on their anniversary soon. Bitcoin is up 0.1 percent in the last 30 days, while ether has nosedived 45 percent. “In this case, bitcoin is acting like more of a safe haven for cryptocurrencies — it’s kind of consolidating,” said Mati Greenspan, analyst at cryptocurrency exchange eToro. This might be helpful too check this out. Day 1 of the rally car the Challenge is a fact! Bath robes in KuCoin advertised Golden Lambo. You got a 34.30% upvote from @postpromoter courtesy of @khaleelkazi! A good friend of mine recently recommended that I listen to the Joe Rogan podcast and I've just seen this now so will be listening to this particular episode shortly. Thank you! continue to succeed in steemit. Hopefully this article is useful for others to be an inspiration. and continue to create scientific works.